"Bargains. The Flea Market is inspiring me." 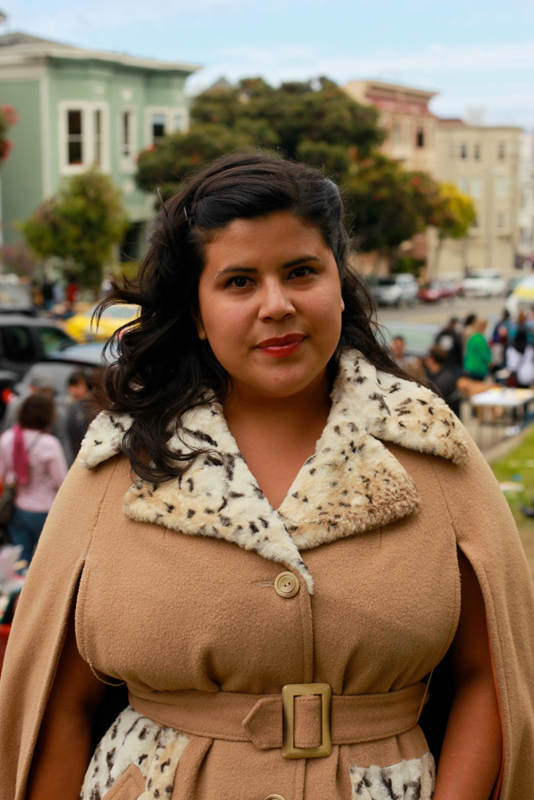 Christina is the owner of Skirt Chaser Vintage in Santa Rosa, so it's no wonder she always looks flawless. 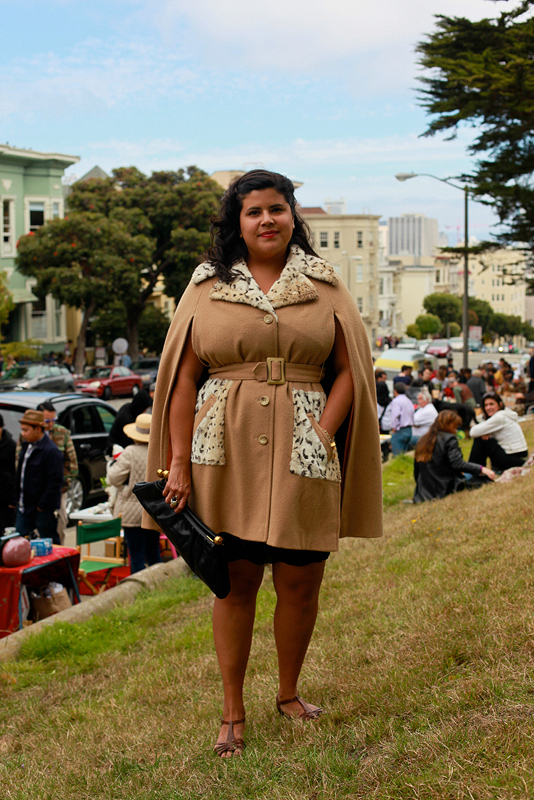 Here she wears a great belted camel shawl coat with animal print and holds a darling clutch with gold balls. Love that this one item encompasses three fall trends: camel, animal print, and cinched waists. Hopeful for summer criss-crossed brown leather sandals. Here is Christina circa November 2007. Today's theme is vintage glamour to the nth degree. Thank you ladies!